Is your household big on basketball? Believe it or not, mine actually is! Even though we're a small family (the two of us and our little doggies), we love our college team. We don't have professional sports here in New Mexico, so we love to root for our college team; this is also a collective "we" because New Mexico loves our college basketball! We have season tickets and have also been traveling to Las Vegas to watch the conference tournament and root for our school! Another thing that I love to do is find new snacks for myself or to share! 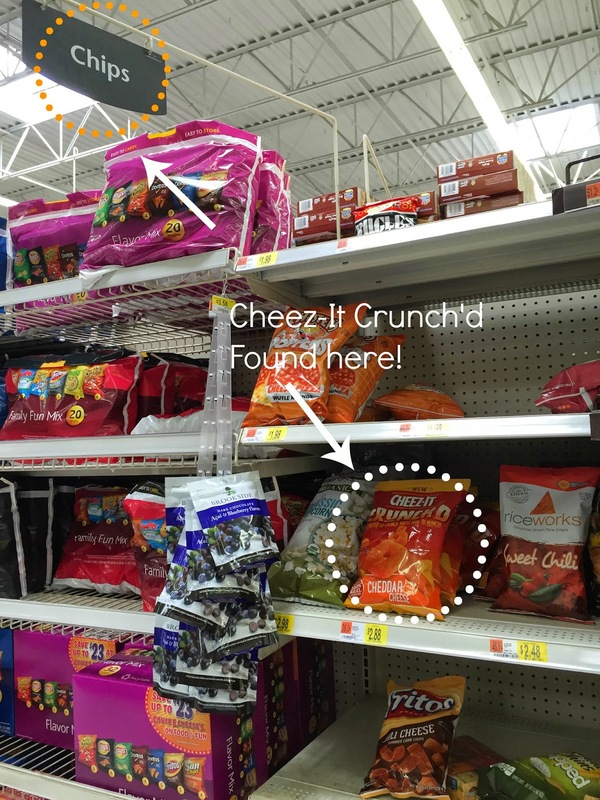 While perusing Walmart, I found two Cheez-It products that I couldn't wait to try: Cheez-It Crunch'd in the chips aisle and Cheez-It Grooves in the cracker aisle. Cheez-Its are some of my favorite crackers, so I was pretty excited to try these different products! 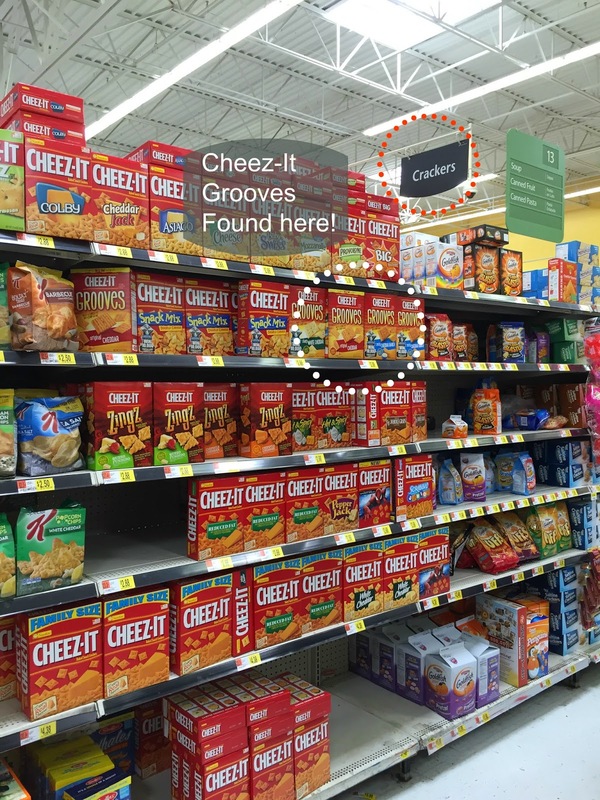 Cheez-Its only use 100% real cheese and is dedicated to the quality of their products. 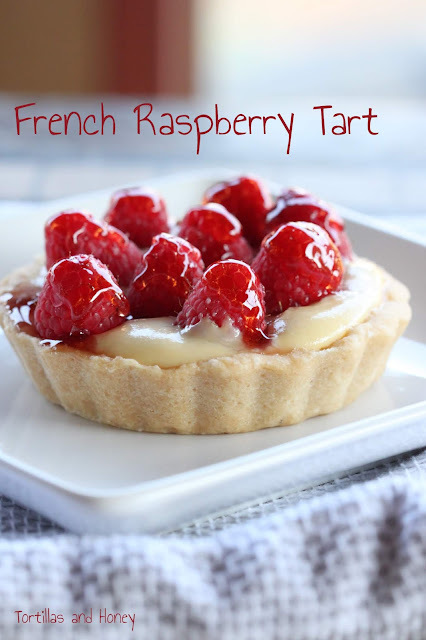 These products are perfect to include in your entertaining, either in recipes or on their own. Inspired by these products, I decided to try out Macaroni and Cheese with Cheez-It Topping. I've seen recipes using the original crackers in macaroni recipes, so I thought this would be a perfect recipe to go along with snacking on Cheez-It Crunch'd and Cheez-It Grooves. And, in order to stick with the theme of entertaining, I decided to make my macaroni and cheese in individual portions rather than serving it family style. It makes it a little more personal and special to your guests and/or loved ones. 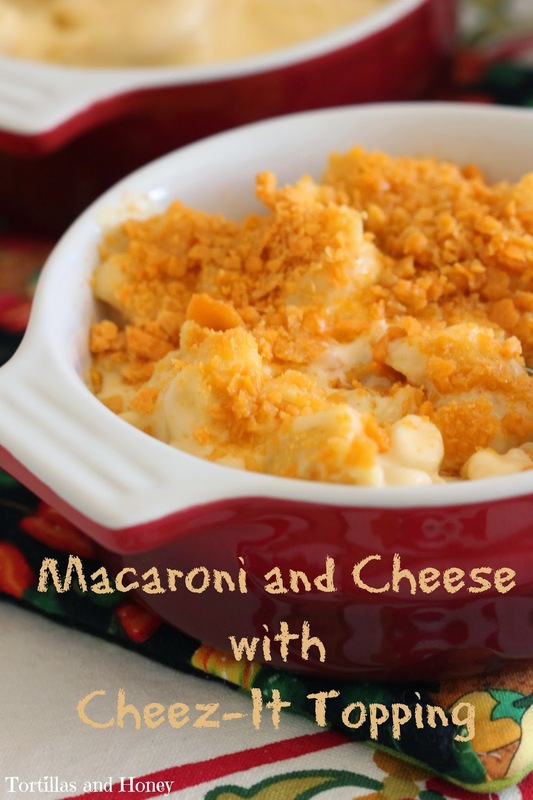 Serve this macaroni side by side bowls of Cheez-It Crunch'd and Cheez-It Grooves for a cheesy and festive table spread! I do have some other fun things to share with you! There is the Most Valuable Cheese Contest that is taking place from Feb – April 2015. Vote on your favorite flavors/varieties from six popular Cheez-It flavors and play games for a chance to win $10,000. Visit the link above to find out more information and to enter! Also, you can visit the Snackable Moments Site to find more recipes and inspiration for your basketball watching and entertaining! What do you do to celebrate your basketball teams? Please reply and share in the comments below! In a plastic freezer bag, add a couple handfuls of Cheez-It crackers. Seal the bag, and crush the crackers with a rolling pin until they are coarse crumbs. Add to a small bowl, mix in melted butter, and set aside. Bring 4 quarts water to boil in Dutch oven over high heat. Add macaroni and 1 tablespoon salt. Cook until pasta is tender. Drain pasta and set aside in colander. Using the same (now empty) Dutch oven, heat butter over medium-high heat until foaming. Add flour, mustard, and cayenne and whisk well to combine. Continue whisking until mixture becomes fragrant and deepens in color, about 1 minute. Gradually whisk in milk and evaporated milk and bring mixture to a boil, whisking constantly (mixture must reach full boil to fully thicken). Reduce heat to medium and simmer, whisking occasionally, until thickened to consistency of heavy cream, about 5 minutes. Off heat, whisk in cheeses and 1 teaspoon salt until cheeses are fully melted. Add pasta and cook over medium-low heat, stirring constantly, until mixture is steaming and heated through, about 6 minutes. Transfer mixture to broiler-safe 13x9 inch baking dish and sprinkle evenly with Cheez-It crumb mixture. (Alternatively, you can do this in smaller broiler-proof ramekins to make individual sized portions, like pictured above!) Broil until crumbs are deep golden brown, 3 to 5 minutes, rotating pan if necessary for even browning. Cool about 5 minutes, then serve. I don't think they sell cheez-its in Canada :( But I can still ogle your creation. This looks SO good! This Cheez-It topping is OUT OF CONTROL, girlfriend! I'm dying over here!